Though not a mother, Katy is aunt to four children, runs an award-winning creative children’s workshop and has a number of working mums as clients. She knows only too well how crucial a good night’s sleep is for an excellent work-life balance. 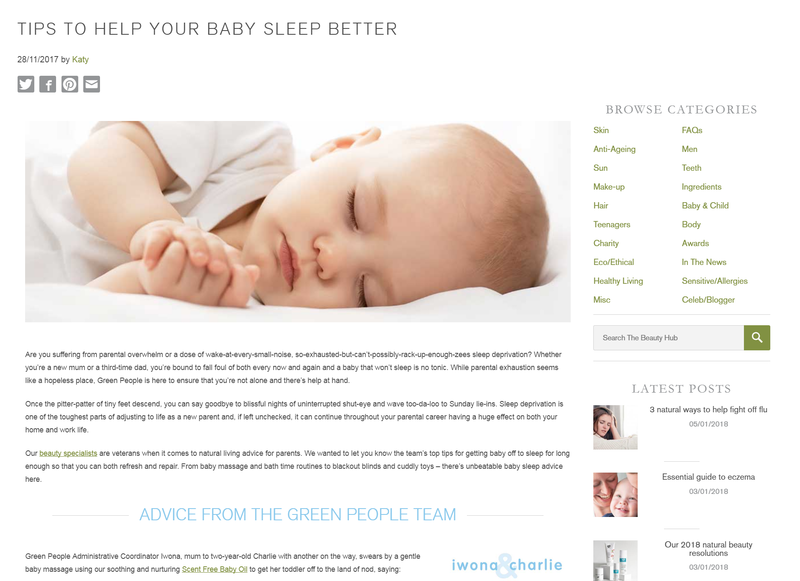 In Tips to help your baby sleep better, Katy interviews Green People mums to discover which techniques and beauty products help their little ones float off to the land of nod. 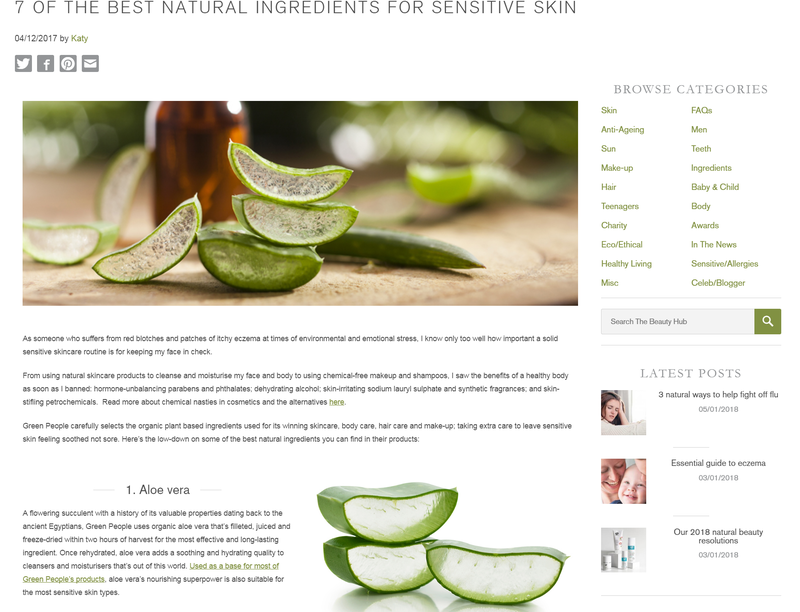 For 7 of the best natural ingredients for sensitive skin, Katy details her own experience of living with sensitive skin and the significance of using good organic beauty products that ­include natural ingredients – such as aloe vera, marshmallow extract, calendula extract and chamomile extract – as part of a solid skin, body and haircare routine. 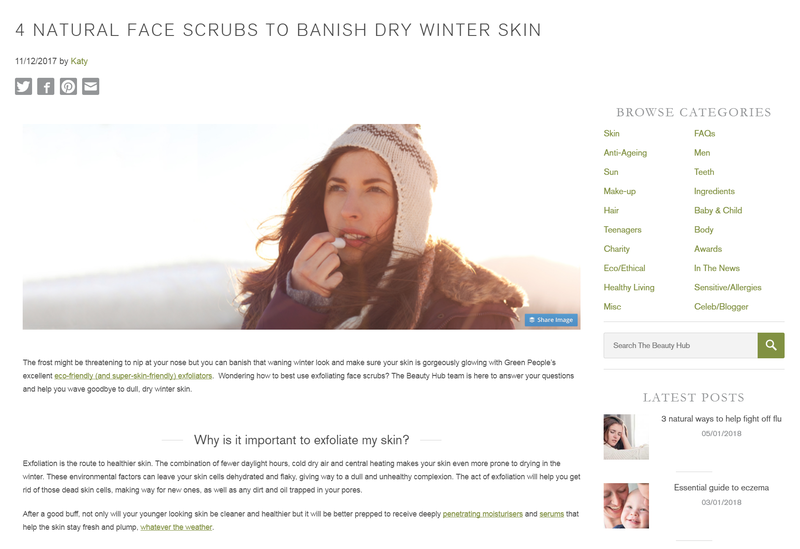 Next, in 4 natural face scrubs to banish dry winter skin, our creative copywriter explains the importance of exfoliating away dead skin cells to allow for a freshly rejuvenated complexion. Whether you’re looking for something ultra-sensitive or anti-ageing, the blog post makes recommendations of Green People face scrubs to suit a range of different skin types. 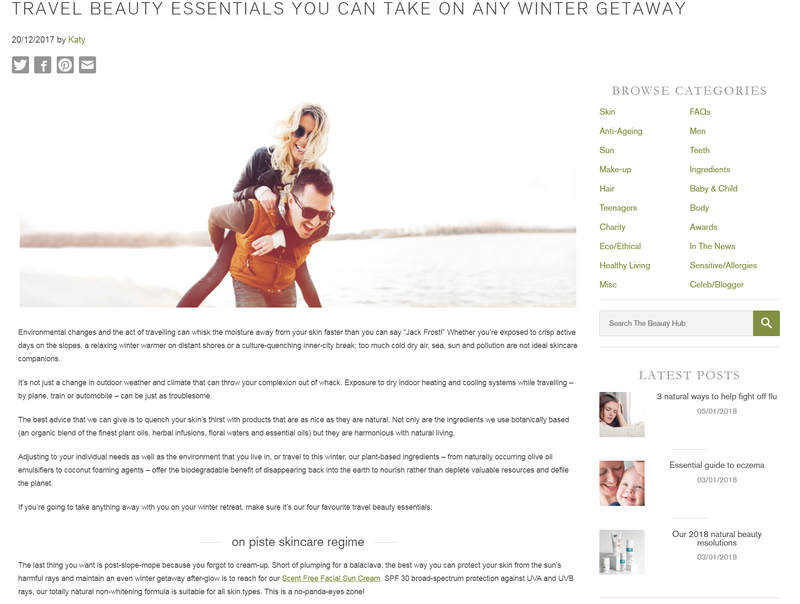 Travel beauty essentials you can take on any winter getaway is a whistle-stop tour of Green People’s must-haves for seasonal breaks on the slopes, in the city or by the sea. From sun cream to skin restorers, there’s something to suit every eco-explorer here. Chichester Copywriter offers SEO copywriting and blog writing services for a number of different industries based throughout the UK. 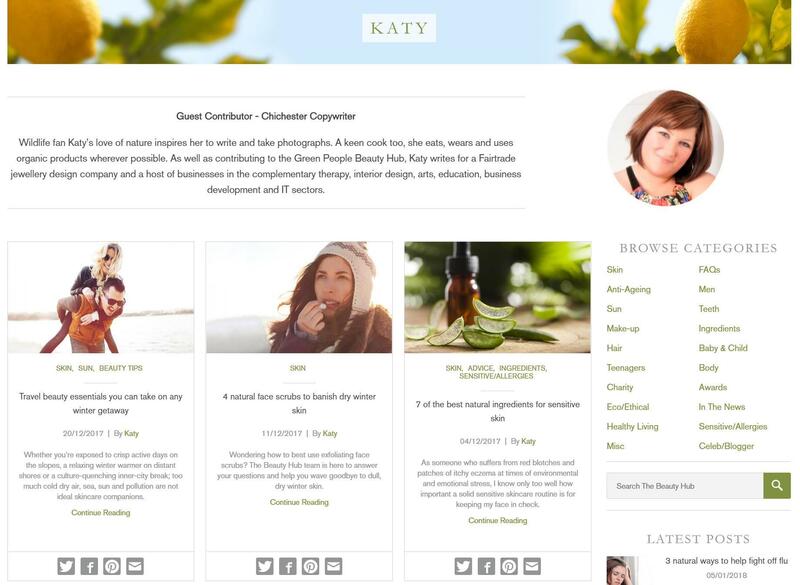 Contact Katy to find out how your digital content could really come to life – pleasing both people and search engines. This entry was posted in Chichester Copywriter's Projects and tagged blog writing services, Chichester Copywriter, creative copywriter, digital content, Green People, guest blogger, health and beauty, Natural skincare experts, organic beauty products, Organic SEO, organic skincare, seo copywriting, travel beauty. Bookmark the permalink.